Beautiful set of two lunch skins: a sandwich bag and a snack bag with different motifs: dogs and tennis balls; A nice combination in red. 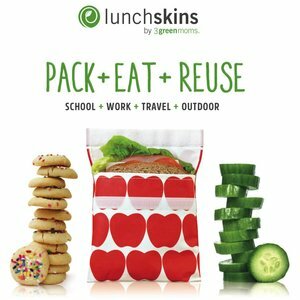 Lunch skins are reusable carry bags for food as well as other things like chalk, dog tags, makeup and more. The bags are handy for lunch or snacks to school, work or on and on. Once at home they go under the tap or the dishwasher and are ready for endless use a few hours later - dry and clean.